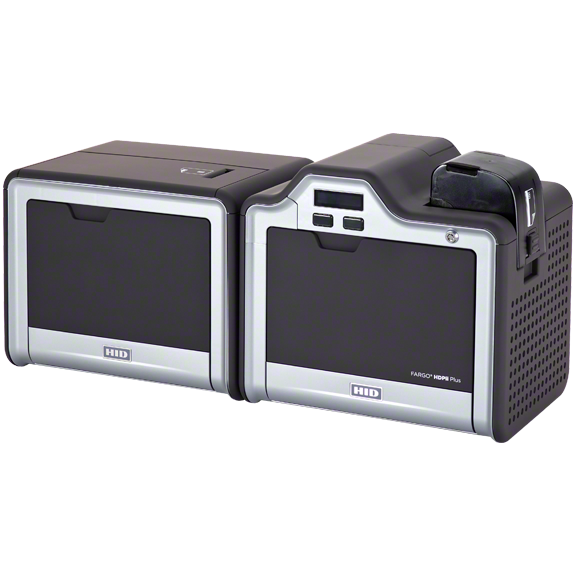 Width: 14.75" Height: 11.50" Depth: 9.25"
HID Global, the worldwide leader in solutions for the delivery of secure identity, presents the desktop Fargo HDPii Financial Card Printer/Encoder. The HDPii makes instant issuance practical and affordable for a wide range of financial cards, and helps you deliver an outstanding customer experience with speed, convenience, and security. With the HDPii, branch personnel can hand a new financial card to a customer in minutes. No worries about cards lost or stolen in the mail. No delays due to ordering cards from a card plant or service bureau. Instant issuance with the HDPii means that your customers start using their cards immediately — a plus for your institution. Additionally, financial cards produced by the HDPii offer impressive image quality. Fargo High Definition Printing™ (HDP®) technology prints photo-quality, continuous-tone images over the card edge with vibrant colors and sharp text and graphics. 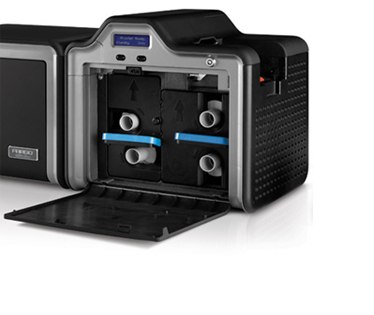 The Fargo HDPii printer/encoder was designed specifically for the secure instant issuance of financial cards. It’s based on the field-proven Fargo HDP5000 High Definition Card Printer/Encoder, which is widely used in identity and access control systems by corporations and governments around the world. 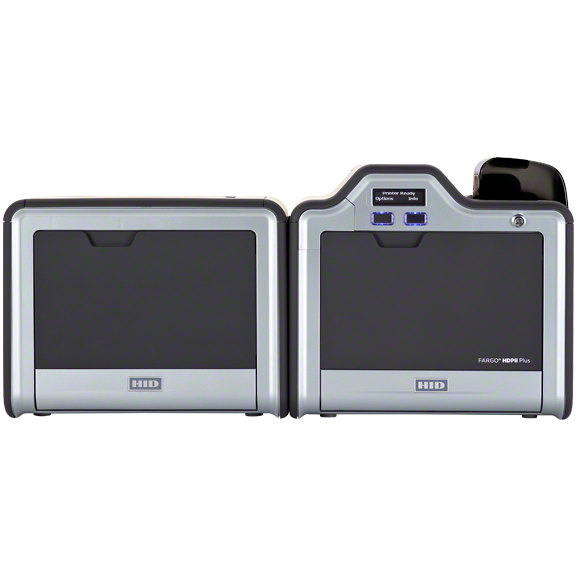 The HDPii prints financial cards on both sides and writes card data with it’s standard magnetic stripe encoder and optional contact or contactless smart card encoders. Special features of the HDPii make it compliant with the security requirements of financial card associations. 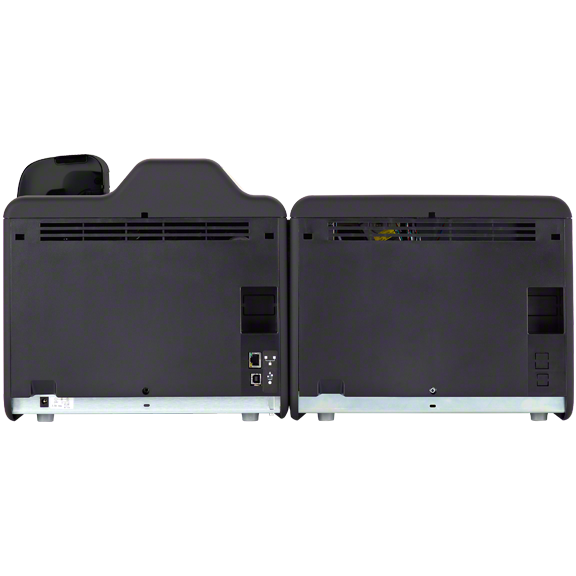 The printing materials and the cards in the input and reject hoppers are all protected by dual hardware and electronic locks, and the output hopper is concealed. The printer has a slot for a Kensington® lock and can be physically bolted to a countertop. Sensitive cardholder data is AES-128 encrypted as it passes from the printer driver to the internal encoders. By using High Definition Printing technology, the HDPii produces financial cards with print quality that rivals pre-printed cards. High Definition Printing is a dye-sublimation process that prints crisp text and full-color, continuous-tone graphics to the underside of HDP Film. The film is then fused with heat and pressure to the card surface.